Cities are becoming more heavily populated than ever, and councils are consequently struggling to keep up with urban planning that best meets the needs of residents and businesses. It seems that as soon as a town, street or corner block is completed, the world around it has changed so fast that the infrastructure requires development to meet the needs of the local community. As cities grow, so too does the need for smarter lighting that supports local government initiatives to create vibrant and safe places for people to live, work, connect and socialise. This goes hand-in-hand with the need for innovative energy efficient outdoor light solutions that enable local governments to balance their needs sustainably. The world is going through a period of unprecedented urbanisation. Today, over half (54 per cent) of the world’s population lives in urban areas and this is expected to rise to 66 per cent by 2050* which will increase demand for energy efficient lighting and integrated lighting solutions. With longer working hours and travel time across expanding cities, people are spending more time getting from A to B at night. Aside from safety, better lit cities provide ambience that can transform people’s mood which is often overlooked. But what if there was an innovative solution to lighting up existing and evolving towns that gave communities not just a guiding light home, but an enjoyable one that helps people feel safer and more comfortable enabling them to make the most of everything a city has to offer?As the leader in lighting, Philips Lighting understands the important role that the right light can have for people in the home, office, outside, anywhere. Taking light beyond illumination, Philips believes that cities can be better places and connected lighting can play an important role in improving people’s lives. Real-time data helps to create efficiencies. [/caption]Smarter and more sustainable lighting solutions can help people to live, work and socialise in safe, secure and attractive cities. With this in mind, innovators at Philips developed the unique Philips CityTouch, a connected LED street lighting system enabling city authorities to have greater control over public lighting and create more personal, safe and sustainable public environments helping to make for healthier, smarter cities. Web applications are used to manage a network of LED street lights and analyse lighting data. For example, in areas where there is a high level of activity, more lights can be switched on. In quieter parts of town that may not need lights to be switched on full, the local council authority is able to dim illumination in individual streets. The innovative software management system developed by Philips uses wireless technology to control every light fixture individually. So, at the touch of a button, lights can be turned up or down – or off. More light can be poured into areas that need it within seconds, in the event of a crowd problem or a traffic accident, for instance. The smart lighting system can also instantly identify where lights are faulty and need to be replaced. Drawing on more than 100 years of experience, local Philips Lighting teams work with councils to develop innovative outdoor LED lighting solutions to help improve operations, better manage energy consumption, and improve liveability and sustainability – all while reducing costs. Philips CityTouch has brought city lighting to life in more than 30 countries around the world including large-scale city projects in Los Angeles, London and Buenos Aires. Rotterdam in Holland has benefitted from the technology by helping to solve urban lighting challenges without draining the city budget. 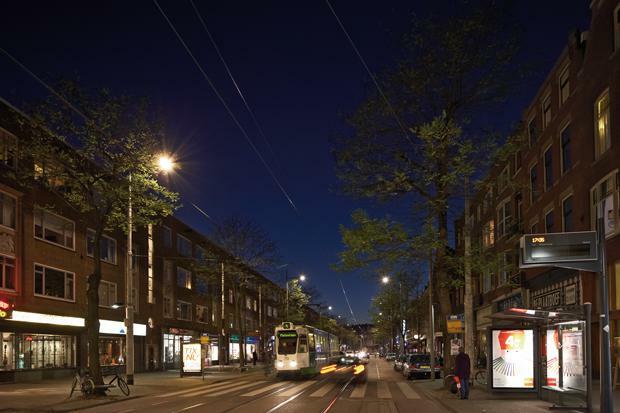 The connected street lighting system enables the city authorities to use the public lighting in Rotterdam efficiently and effectively at night, providing less light where possible and extra light where necessary. : City lights: Philips CityTouch making cities safe. While its success is well documented internationally, in Australia there is a trial underway in the city of Onkaparinga, Morphett Vale, South Australia which was constructed and is being managed by SA Power Networks. Project manager for the trial, SA Power Networks' Mark Dougray, says councils are increasingly interested in smarter lighting that delivers better light, safer communities and greater cost efficiency. Marcin is Head of Professional Lighting, Philips Lighting Australia. His role at Philips Lighting combines over 15 years of management experience and his passion for how technology improves the lives of communities and individuals. Throughout the years he’s been a dedicated evangelist for how Connected Lighting contributes to the safety and liveability of modern cities as well as helps in developing vibrant communities and strengthens social tissue. He has advised major European cities on the development and implementation of their smart city and smart lighting strategies and has managed the System & Services business for Philips in numerous European countries. His successful experience with clients in Retail, Office, Manufacturing and Hospitality, proves that innovative, inspiring and connected lighting can contribute not only to the bottom but also the top line of commercial businesses. Prior to joining Philips, Marcin gathered his commercial and technical experience in management consulting and IT business consulting in various companies including SAS, HP and Lindberg Strategy.